Are you moving house? You have probably bought new furniture for your new apartment. Or maybe you would like to take your old furniture to your new apartment but do not know who might assist you. Call us in Stolberg; we are your ideal partner for removal services. Our services include disassembly and reassembly of your furniture. In addition to experienced furniture fitters, we have the necessary tools to disassemble and reassemble your furniture in a professional manner. At your request, we can take down your lamps, pictures and mirrors and hang them again in your new residence. Wall cabinets and display cabinets often have glass doors that must be handled with extreme care. When removing and installing these sensitive parts, our skilled and careful employees will exercise utmost accuracy to ensure a perfect fit after reassembly. Since our team includes competent kitchen fitters, we will dismantle your kitchen furniture and fit it to your new kitchen. Of course, we will also connect your electric appliances and trim your countertop, if necessary. 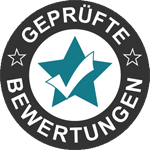 Contact us for more information on assembling furniture or kitchen installation in Stolberg, the Aachen area and across Europe.